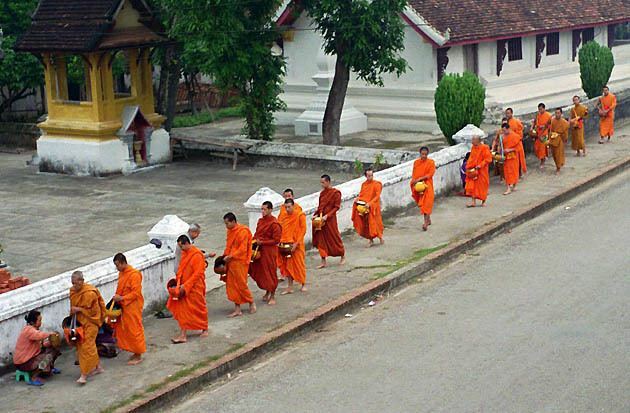 Luang Prabang (also Louangphabang, Lao ຫລວງພະບາງ) is a province of Laos, located in the north of the country. Its capital of the same name, Luang Prabang, was the capital of Lane Xang Kingdom during the 13th to 16th centuries. It is listed since 1995 by UNESCO as a World Heritage Site for unique architectural, religious and cultural heritage, a blend of the rural and urban developments over several centuries, including the French colonial influences during the 19th and 20th centuries. The province has 12 districts, Luang Prabang, Xieng Ngeun, Nan, Pak Ou, Nambak, Ngoi, Pakseng, Phonxay, Chomphet, Viengkham and Phoukhouny. The Royal Palace, the national museum in the capital city, and the Phou Loei Protected Reserve are important sites. Notable temples in the province are the Wat Xieng Thong, Wat Wisunarat, Wat Sen, Wat Xieng Muan, and Wat Manorom. 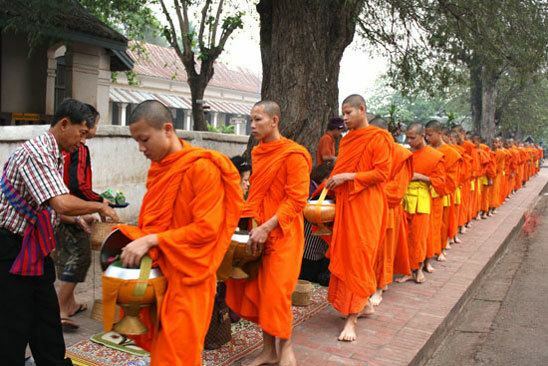 The Lao New Year is celebrated in April as The Bun Pi Mai. Luang Prabang is the ancient capital of Lan Xang ("one million elephants") and is one of the oldest cities in Laos, founded approximately 1,200 years ago. It was previously known by two other names, Muang Sawa (or Muang Sua) and Xieng Dong Xieng Thong. It became the first capital of Laos in the 14th century when King Fa Ngum returned from Cambodia where he and his father were exiled by the previous king, Fa Ngum's grandfather. Fa Ngum had the support of the Khmer kingdom centered at Siem Reap and brought with him thousands of soldiers to assist in establishing his own kingdom. Luang Prabang was known as Muang Sua around the 11th century, but the settlement's name was changed after Cambodia gave a gold image of the Buddha, the Phra Bang, as a gift. The Phra Bang became the symbol of the city, and the Buddha image is on display at the museum. Nan-chao occupied Muang Sua in 709 and its princes or administrators replaced the Tai aristocracy. The occupation probably ended before the Khmer empire's northward expansion under Indravarman I (r. 877-89). The Khmers founded an outpost at Xay Fong near Vientiane. 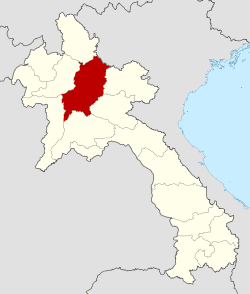 The Champa expansion occurred in southern Laos through 1070. Chanthaphanit, the ruler of Xay Fong, invaded Muang Sua and was accepted as ruler with the departure of the Nan-chao administrators. Though Chanthaphanit and his son had long reigns, the dynasty had troubles with several principalities, leading to Khun Chuang, who may have been a Kammu tribesman, extending his territory to Muang Sua and ruling from 1128 to 1170. The family of Khun Chuang reinstituted the Siamese administrative system of the 7th century. The territory experienced a brief period of Khmer suzerainty under Jayavarman VII from 1185 to 1191. After the town became the center of a localized kingdom in the 13th century, it became known by the Tai name Xieng Dong Xieng Thong, which in 1353 became the capital of Lan Xang. The capital was moved in 1560 by King Setthathirath I to Vientiane, at which time, Xieng Dong Xieng Thong was renamed Luang Prabang, meaning "City of the Lord (Buddha) of Fine Gold", in recognition of the Phra Bang gift received centuries earlier. After Lan Xang had troubles in 1707, Luang Prabang became the capital of the independent Luang Prabang kingdom. When France annexed Laos, the French recognised Luang Prabang as the royal residence of Laos. Eventually, the ruler of Luang Prabang became synonymous with the figurehead of the French Protectorate of Laos. When Laos achieved independence, the king of Luang Prabang, Sisavang Vong, became the head of state for the Kingdom of Laos. In 1941, following the Franco-Thai War, Thailand occupied part of the province, which was named Lan Chang Province. On March 9, 1945, independence was declared for Laos, and Luang Prabang was the capital. Colonel Hans Imfeld, commissioner of the French Republic, entered Luang Prabang on 25 August 1945 with a party of Franco-Laotian guerrillas and received assurances from the King that the protectorate was still in force. After the Washington Accord of 1946, the Thai government ceded the annexed territories of Luang Prabang and Xaignabouli provinces back to Laos. 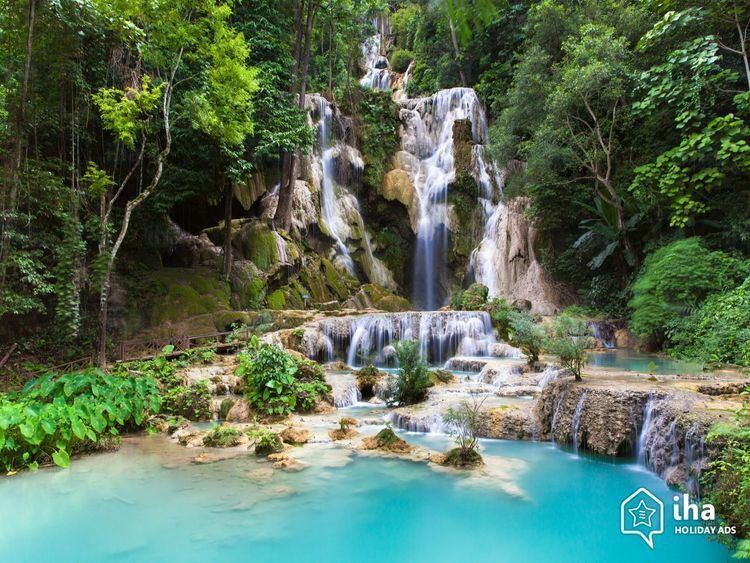 Luang Prabang Province one of the provinces of Laos, covers an area of 16,875 square kilometres (6,515 sq mi). The province borders Phongsali Province to the north, Vietnam to the northeast, Houaphan Province to the east, Xiangkhouang Province to the southeast, Vientiane Province to the south, Xaignabouli Province to the southwest, and Oudomxay Province to the west. The provincial capital and old seat of the kingdom, Luang Prabang city, can be accessed via Bangkok Airways, Lao Airlines, or Vietnam Airlines who all service Luang Prabang International Airport. 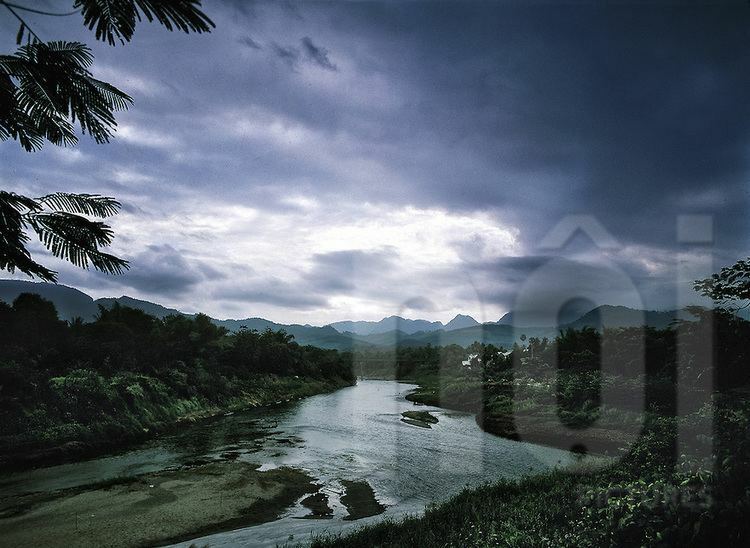 The capital is situated on a narrow peninsula that bisects the conjunction of the Mekong River, flowing south along the west side of the city, and the Mae Kok River, a tributary of the Mekong that flows from the east but angles north just before the confluence of the two rivers. The tip of the peninsula is the site of a wat that was frequented by the royal family when it resided there, and is still a site of devotion for local Lao Buddhists as well as increasingly frequent tourists. In the center of the peninsula is a Mount, Phousi, which despite the constrained scale of the city, is 150 metres (490 ft) high; a steep stair leads to a shrine and an overlook of the city and the rivers. The 60,070 hectare Phou Louey Massif Important Bird Area (IBA) is within the Nam Et-Phou Louey National Biodiversity Conservation Area (NBCA). 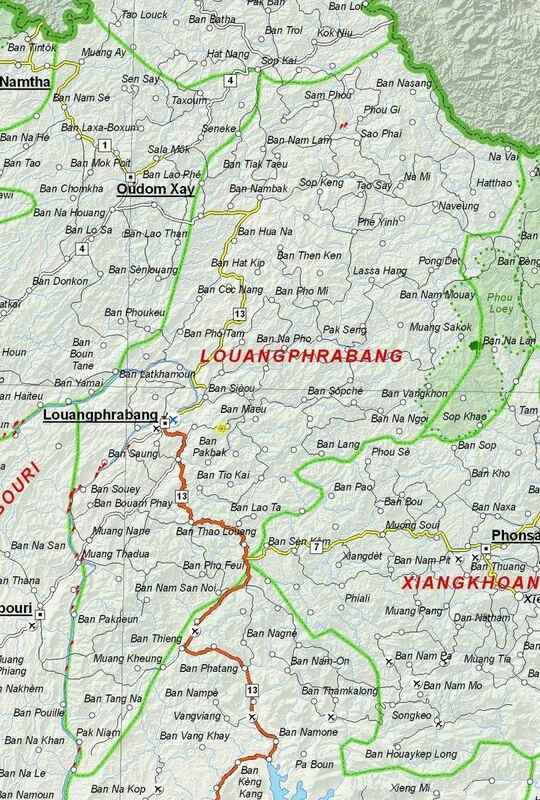 The IBA is also within the provinces of Luang Prabang and Houaphanh. It is situated at an altitude of 700–1,800 metres (2,300–5,900 ft) above sea level. The habitat contains mixed deciduous forest, semi-evergreen forest, lower montane evergreen forest, upper montane evergreen forest, and secondary grassland. Notable avifauna include beautiful nuthatch Sitta formosa, Blyth's kingfisher Alcedo hercules, rufous-necked hornbill Aceros nipalensis, and yellow-vented warbler Phylloscopus cantator. The population of the province as of March 2005 census is 407,012.